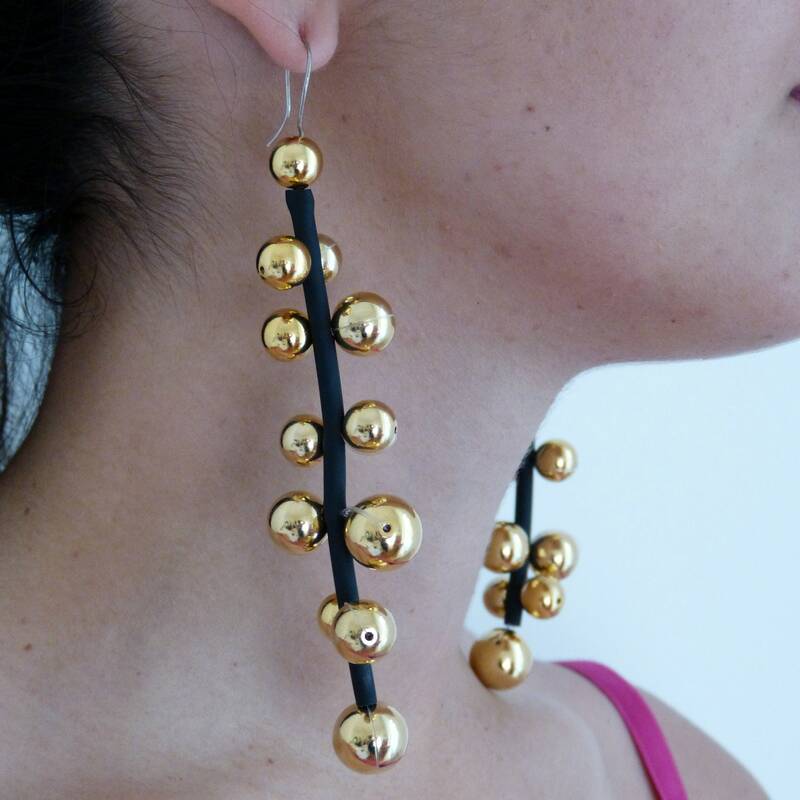 Statement earrings in black rubber tube shaped piece embellished with different sizes round shiny gold resin beads open hoop. Is a perfect mix of shine and bold colors. These are stand out. They dangle beautifully and work effortlessly from day to night. They are also incredibly light-weight. When you wear it on even with dark hair, you will be seen! 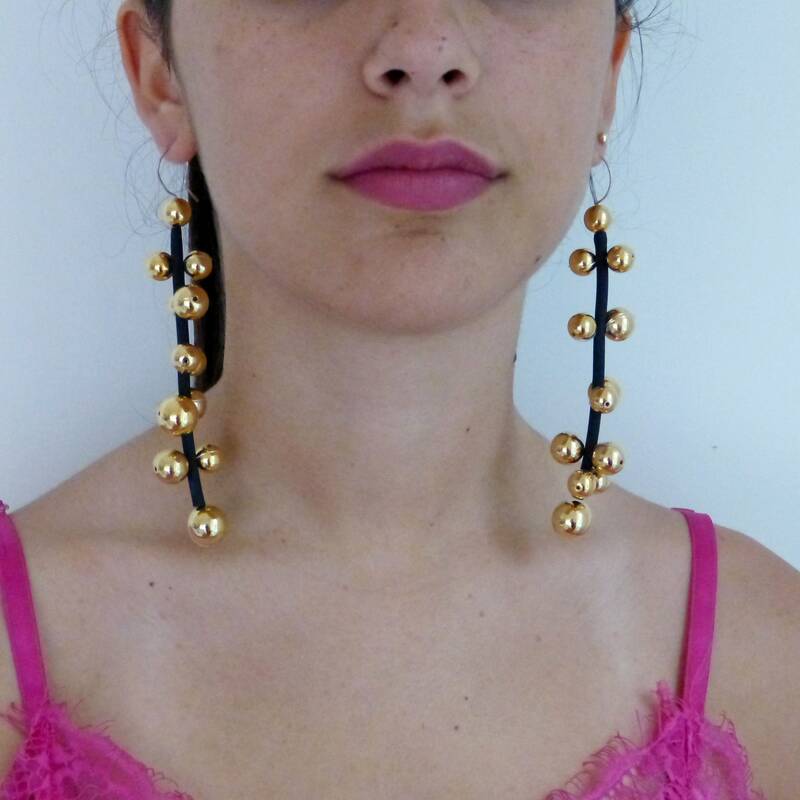 The peculiarity of this earrings are: light and brilliant. I love simple and clean lines, I really think that "Less is More". Add some Italian style with my original design. This listing is shipped with traceable mail. Would like to have it personalized? I can regulate the Lenght. Please feel free to ask any questions or contact me with a custom order.